Finding the right engagement ring is as challenging as finding your soul mate but in the Sydney area there are a number of shops and jewellers that can make the decision easier for you and you your fiancé. When you enter a store and begin discussing your needs with a salesperson or designer, it is important to make clear your desires and your budget and don’t lose sight of those key points as you progress through the process. Sydney is home to a number of quality jewellers so take your time and shop around before coming to a decision. Here are a few of the hot spots you and your soon-to-be spouse should check out before making a purchase. Enjoy your engagement ring shopping in Sydney! Affinity prides itself on teaching consumers how to shop for jewellery rather than merely selling. Their commitment to providing couples with expert service and design capabilities is unparalleled in Australia and consumers value the commitment of Affinity to guarantee that every one of their diamonds is ethically sourced. With no pun intended, Affinity has an affinity for platinum and white gold so if you are looking for a ring set with that style of sparkle, this is the boutique for you. Locally renowned and award winning jewellers, Arman Arzumanian and his son Levon oversee all aspects of design and style at their high end boutique in St James Arcade. Patrons can start the search early by visiting the online gallery of engagement rings and wedding sets. 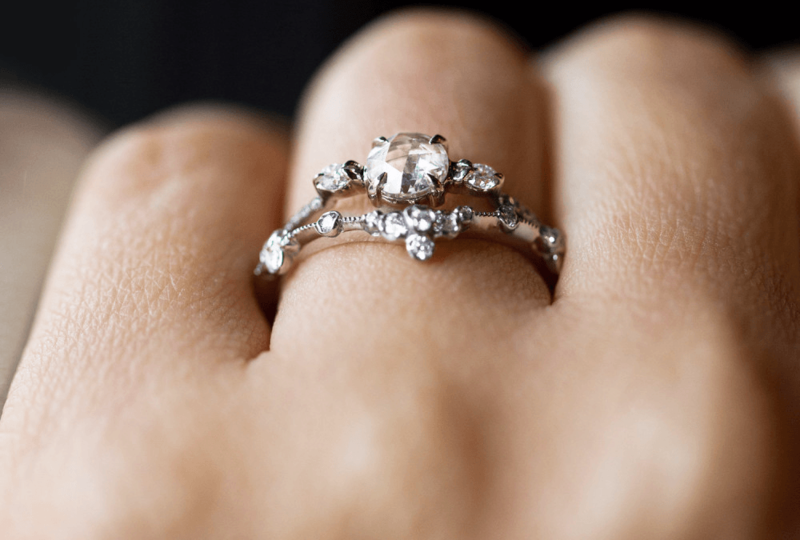 Browsing their extensive collection can provide insight to your preferences and the staff at Armans is always willing to work with clients to develop the perfect ring for you. Located on Anderson Street, customers are encouraged to walk in to the Diamond Elite store and no appointment is necessary. Browse the showcases and build your ring from setting to stone at prices that are almost unbelievable. Diamond Elite also has online advice that will make your shopping experience easier regardless of the manufacturer you choose. Known worldwide for their timeless and impeccable pieces, Tiffany’s on Castlereagh has options to suit every taste and once you’ve bought a piece from Tiffany & Co. you become part of their family. That signature blue box will always inspire romance and you will be tempted to return for anniversary and birthday gifts for years to come. Waldemar Jewellers has a unique talent for putting clients at ease with their no-stress consultation process and custom design capabilities. The shop’s founder, Mark Poter has over two decades of experience and has served clients from celebrity to royalty. But don’t be intimidated by their well known client list as Waldemar’s treats every couple that walks through the door like kings. Waldemar Jewellery is located on George Street and takes in person consultation bookings as well as consultations via Skype. And if you haven’t refined your tastes, visit their Engagement Rings page for a complete outline of options available. Planning your wedding is exciting and often stressful but there is one decision that won’t be difficult at all. Put your musical entertainment in the capable and talented hands of Lily Road. Lily Road is Australia’s BEST wedding band and they can take care of the music on your special day from ceremony to celebration. With a number of talented wedding singers to choose from, Lily Road offers couples exactly what they are looking for regardless of what that is. Check out a few of our memorable performances here and contact us today to arrange the perfect accompaniment for your once in a lifetime event.